Hi tech, easy to use, and safe to environment, the treadmill can be the runners best friend. Especially when it is not weather friendly outdoor. While running on a treadmill is different than running outdoor, here are a few tips to help you to use the treadmill to lose weight. While running outdoor requires you to push off your back foot to gain distance, running on a treadmill does the work that for you. There’s also an element of hopping on a treadmill which is unique to its kind. You already know that running on a treadmill is different than running outdoor. However, you still have to move your leg forward to make it count as a workout. Just remember that even you are not moving through space, you’re still moving. 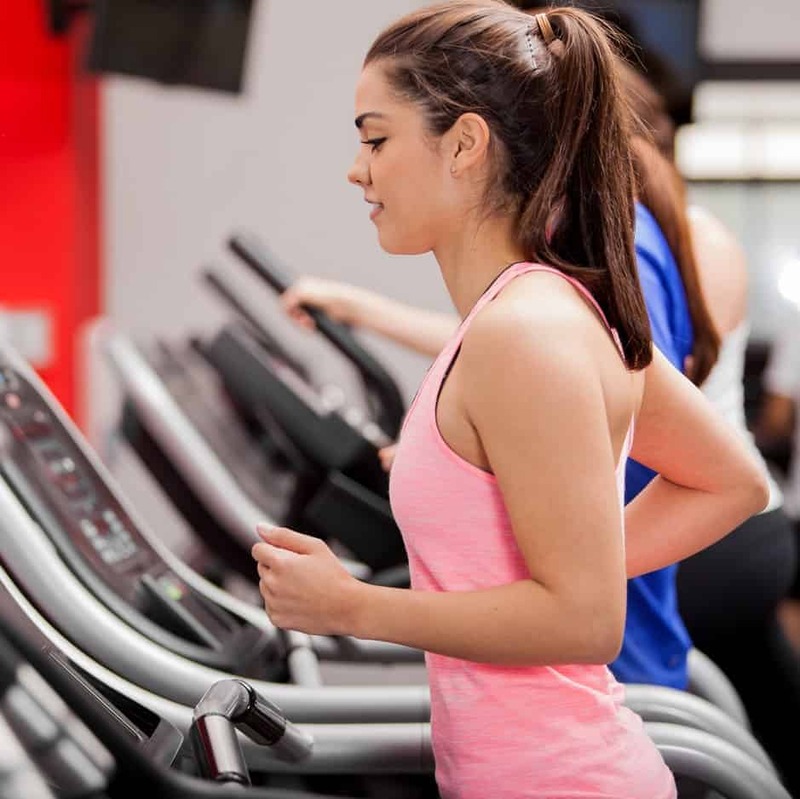 Running form on a treadmill is similar to running outdoor, keep your head level, shoulder back and relaxed, arm loosely swinging at a 90 degree angle to your side, and feet striking the conveyor belt directly below your knee. No obstacles in front of you on a treadmill gives you total focus on every aspect of your running workout. A quick note about hydration: be sure to drink more fluid during and after running because you might lose some fluid due to sweat. Make sure you do that or you might be passing out during your run, especially if you are just starting to use a treadmill. Hydration also helps you to cool your body during your run, you might also notice that you sweat a little bit than you normally would. Unless if you live in African dessert. After giving yourself a 5-10 minutes of easy warm up by walking, increase the speed gradually to get your body used to the exercise but never increase the speed where your form breaking down. If you need to stop, grab the rails and move your feet to the stationary side of the treadmill. Letting yourself to slide to the back is generally a bad idea. You might fall off because of imbalance. However, the best way to dismount from your treadmill is gradually step down the speed until it finally stops. But sometimes, you got to make it stop. Most treadmill feature emergency stop cord which will cut the belt drive immediately so it will stop. Just be careful here too because the stop is sudden. One of the best benefits of running using treadmill is you are using precise speed and incline. Some machine might even program a custom workout. Happy running. I’m going to use this program and see if it works to lose my weight.